Instant gratification is the underlying mantra surrounding the modern real estate consumer growing up with the Internet most of their lives, meaning access to information on demand is standard, and their ability to leverage technology to figure obscure things out far outpaces their older counterparts. As this generation enters the housing market, you can bet with certainty they are leveraging every inch of technology on how to find their first house, how to obtain financing, and how to get the best deal. As the homebuyer becomes more sophisticated, agents must figure out ways to effectively communicate their value proposition so that such information cannot appear easily on Google or by downloading an app. Housing information found on the public domain is only becoming easier to access, and the result is homebuyers are entering the purchasing process far later than ever before. With this transition, what implications does this have on real estate agents, and what does a local and data expert look like? For starters, agents need to leverage their knowledge that is not readily available on the Internet. As part of Generation Y myself, I can easily find out the best neighborhoods, demographics, schools and restaurants in any given city pretty fast on my smartphone alone. However, these reviews are based on the perceptions of random people I often do not know. It takes trust and guidance frequently found in successful real estate agents to help me cut through the noise and find the perfect place. With so much information on the Internet, it easily becomes overwhelming for the average consumer, and therefore presents a huge opportunity for agents to help consumer make the best possible decision. Chances are your clients are going to start their real estate search using the Big 3 — Zillow, Trulia and realtor.com — because they simply offer a search experience far superior than anything one agent or brokerage can provide. An agent’s role is to help analyze market trends on a micro level. For example, help clients understand which streets or neighborhoods may offer a better investment opportunity over others. This type of microanalysis is often very difficult or impossible to find on the Web. People love referrals, especially real estate agents. To continue receiving referrals, it is best practice to pay it forward, meaning as an agent sharing your preferred vendor network provides tremendous value to your clients as you are able to save them the time of scouring the Internet, and it helps save you the time of fielding requests to send this information back and forth. Also, your vendors will greatly appreciate the business. From my experience growing up with my mom as Realtor in Florida, vendors loved working with my mom that every so often freshly caught lobster would be delivered to our house. The point is that referring ensures future success. Inaccurate data is the big boon to the Big 3. Without direct access to every MLS, data inaccuracies are a sure thing. Whether it is homes that sold six months ago or homes not even for sale, it is a good idea for agents to inform clients to verify listings data found on the Big 3 with them. The last thing you want is your client to become fixated on a house that is not even available. 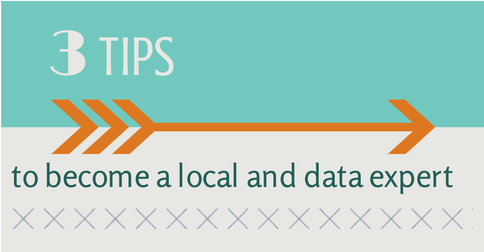 In other words, microanalysis and being a trusted source of local knowledge is a strong strategy to becoming a local and data expert. An era where the Big 3 have captured the attention of the average consumer, pointing out the little things offers up a tremendous value proposition to the modern real estate consumer. Will Caldwell, a San Diego resident, is the CEO and co-founder at Dizzle, a mobile real estate tech company that helps Realtors generate more word-of-mouth leads.